Rubio rebukes Trump over Judge Curiel: "It's offensive"
Florida Sen. Marco Rubio sharply criticized his formal rival and presumptive GOP nominee Donald Trump over comments he's made about the judge presiding over Trump University lawsuits. 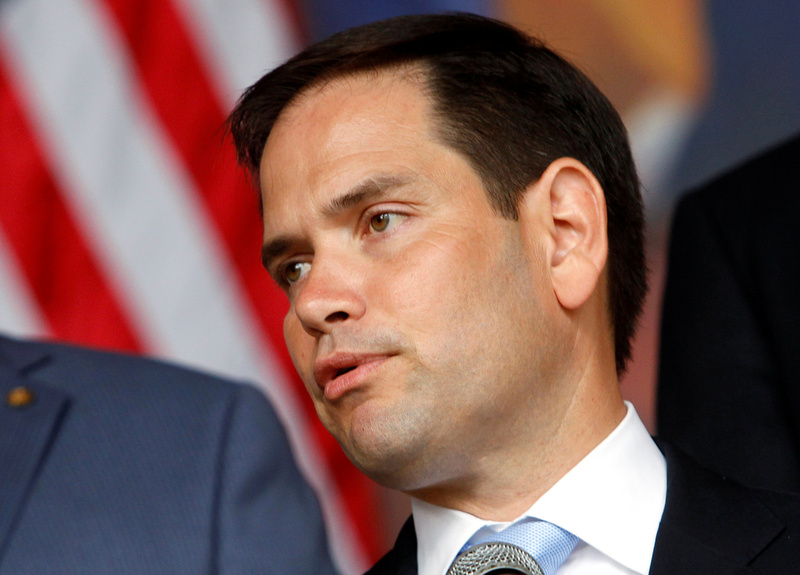 "It's offensive -- he should stop saying it," Rubio said of Judge Gonzalo Curiel. "He's wrong. The judge is an American." The former candidate, who spoke to reporters Monday evening at the Senate, reiterated his support for Trump, but added that he has "repeatedly said that this is the difficult choice we would face if he were our nominee....[T]his is a tough decision for a lot of Republicans to make," Rubio continued, "because on the one hand, you don't want Hillary Clinton to win -- and he truly is the only way to stop that. On the other hand, you have something like you've seen today and the last few days. So it puts everybody in a tough spot." Donald Trump: Gingrich scolding over judge comments was "inappropriate"
"[B]eing a nominee of a major party for president brings with it a level of responsibility, and it has been my hope, and used to be, I suppose, that he would fully assume that responsibility and carry it out in a way that reflects the stature he is now in." Rubio also continued to duck questions about whether he would throw his hat in the race for reelection to his senate seat or whether he plans to endorse anyone in the Republican primary for his seat. Another former presidential candidate, Texas Sen. Ted Cruz, when asked at the Senate about Trump's comments, told CBS News' Jack Turman, "You'll have to ask Donald why he says the things he does." CBS News' Jack Turman contributed to this report.